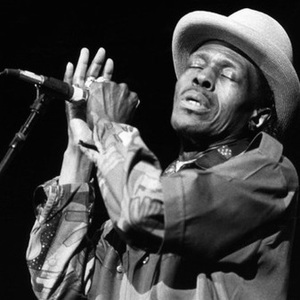 Junior Wells (December 9, 1934 - January 15, 1998), born Amos Blakemore, was a blues vocalist and harmonica player based in Chicago who was famous for playing with Muddy Waters, Buddy Guy, Magic Sam, Lonnie Brooks, The Rolling Stones and Van Morrison. He was born in Memphis, Tennessee, and raised in Arkansas. Wells moved to Chicago in 1948 and first made his mark at age 18 playing in Muddy Waters' band. He later worked with Buddy Guy in the 1960s and recorded for Delmark Records. He was born in Memphis, Tennessee, and raised in Arkansas. Wells moved to Chicago in 1948 and first made his mark at age 18 playing in Muddy Waters' band. He later worked with Buddy Guy in the 1960s and recorded for Delmark Records. His most memorable songs are "Messin' With the Kid" and "Little by Little," and his best-known album, 1965's Hoodoo Man Blues, which evokes the smoky atmosphere of the era's Westside Chicago blues bars. Wells made an appearance in the 1998 movie Blues Brothers 2000, the sequel to The Blues Brothers. The movie was released less than a month after his death. On his passing in 1998, Junior Wells was interred in the Oak Woods Cemetery, Chicago.